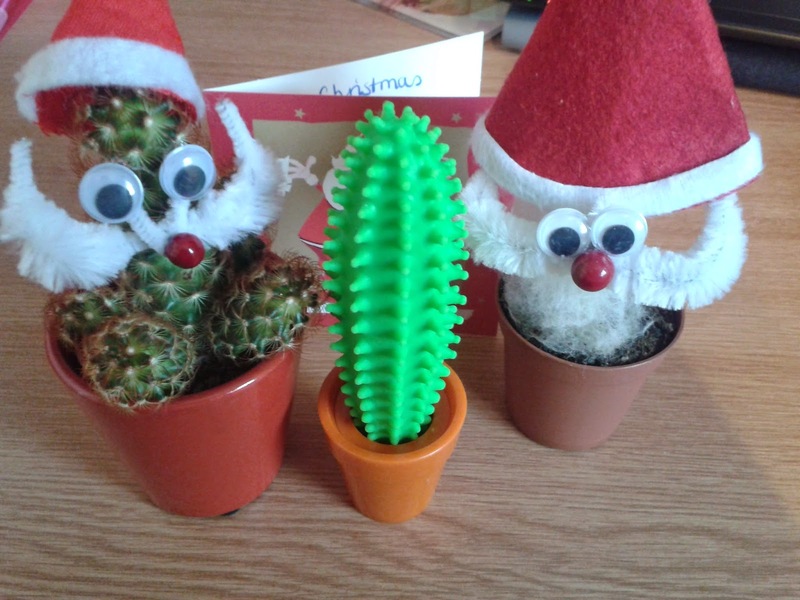 It's Boxing day and the Father Cactusmases are feeling a little sad. Christmas is over and the cheeky duo are concerned for their future. What will become of them? They've spied the Christmas decoration box and I think they are worried they might suffer the same fate as the tinsel and the tree. It's pretty cold up there in the attic so I can understand why they're anxious. They've had so much festive fun and they really don't want it to end. 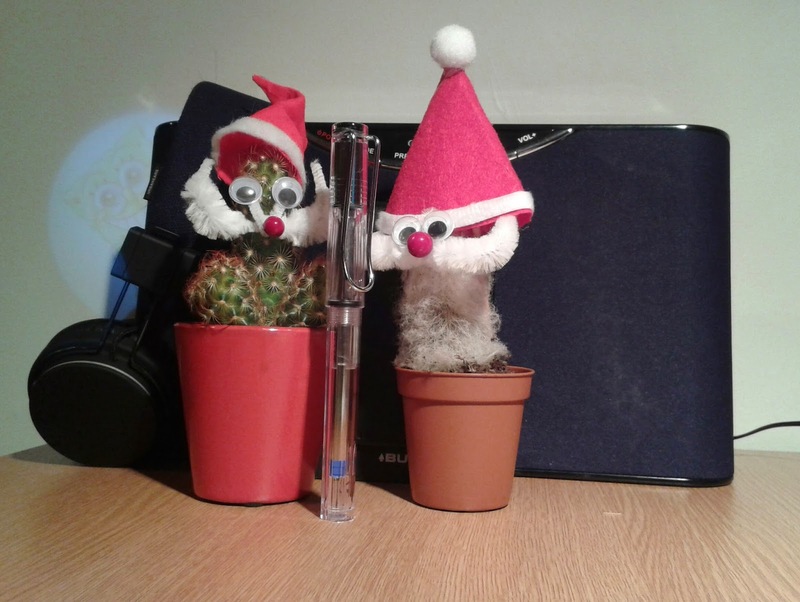 They took a shine to my Lamy Vista and had a selfie session, only it was more me, myself and the Father Cactusmas behind me. They discovered the Christmas cards and couldn't wait to write them out. There was quite a bit of bickering about who's name would appear on the card first. The Wise owl had to swoop in to help, although explaining to the Father Cactusmases that it didn't matter because they shared the same name proved to be quite a challenge. Same name or not, it seemed to really matter to them! They practised carol singing and even recorded a Christmas album, doing their best to ignore Spongebobs annoying 'I'm behind you' panto tricks. Unfortunately Simon Cowell said it was the worst thing he's ever heard so we won't be seeing it in shops any time soon. I have to say, I've really enjoyed their company and despite them messing around with my stationery I think I'd really miss them if they were gone. I think even the real Santa has a soft spot for these two as he left them a little present. 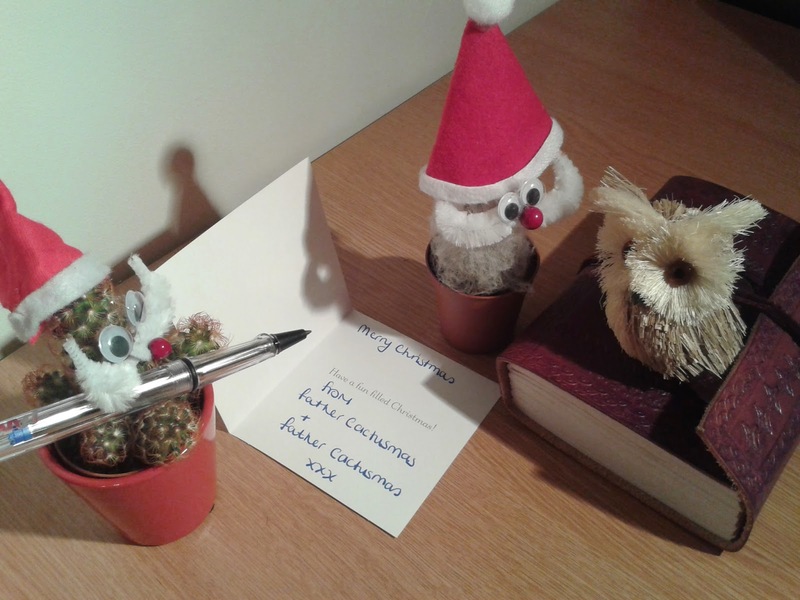 Some stationery of their very own - a cactus pen! 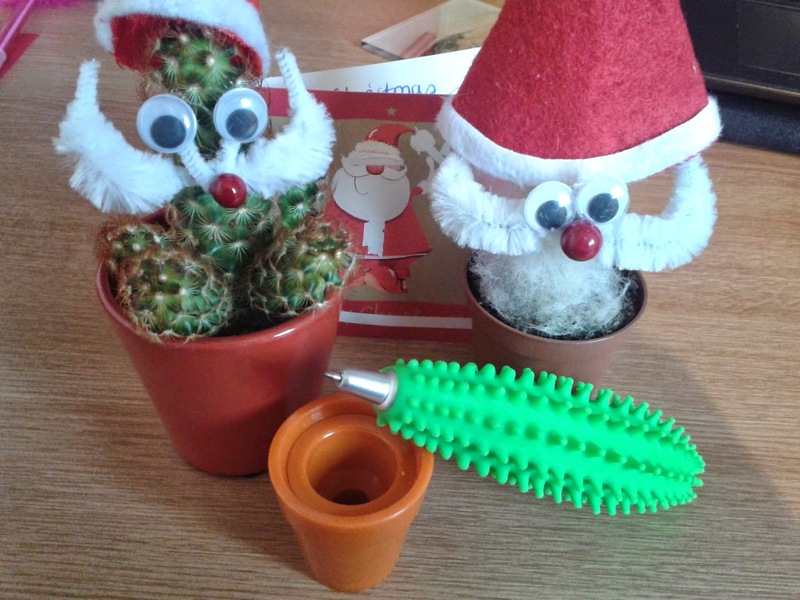 The Cactusmases spines tingled with Christmas glee. They were so happy that they forgot to argue and had fun taking it in turns to test out their new pen. 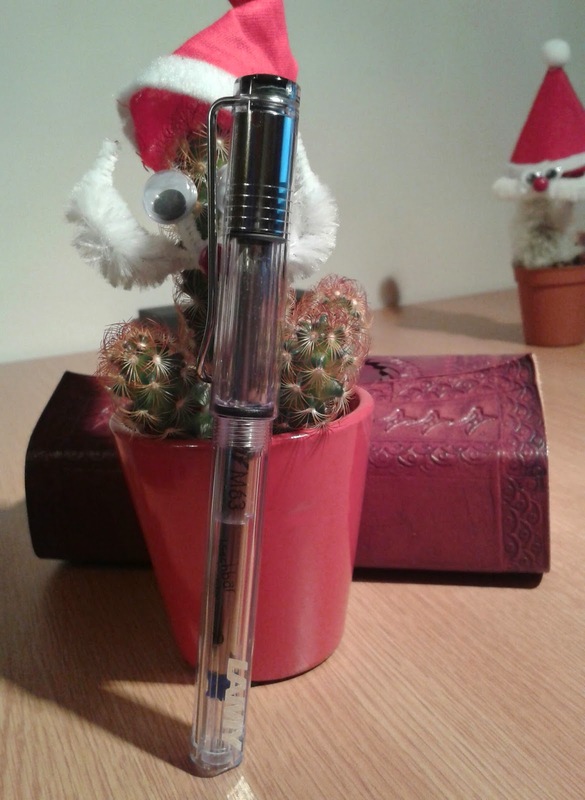 What do the Cactusmases love most about this pen? It can be refilled so their fun never ends. 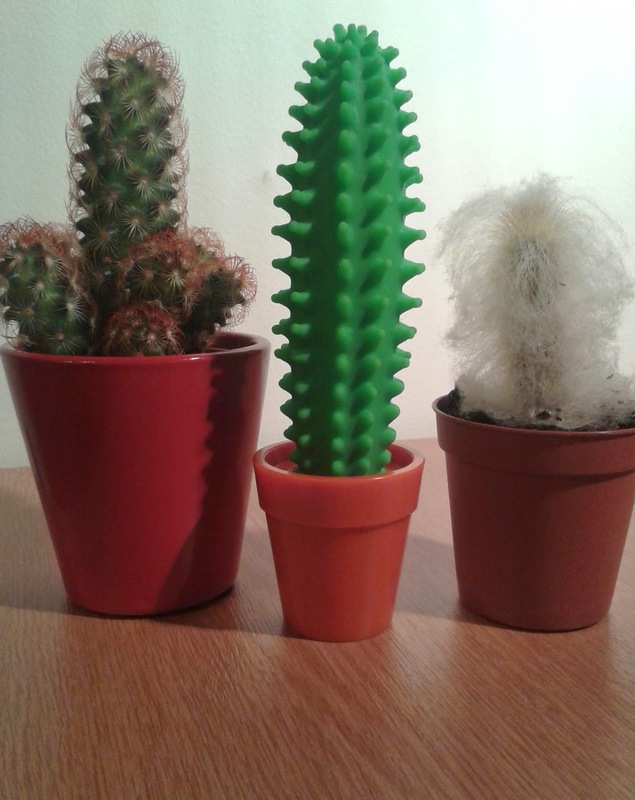 Seeing the Father Cactusmases so happy made me happy so I've decided to let them carry on living on my desk. They've promised to leave my stationery alone now that they have their own and they have agreed to take off their hats until next Christmas. So now the Cactusmases may look like ordinary Cacti, but we know their secret....sshhhh!.... until next year! Crackers about pens or just crackers?